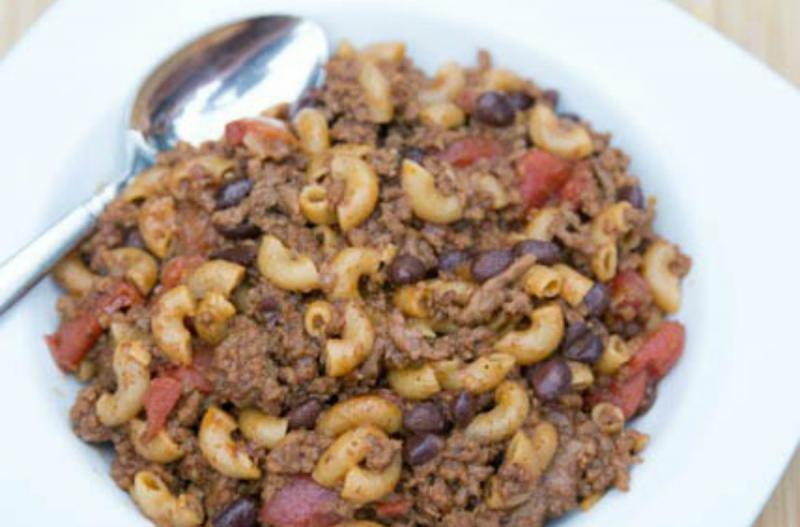 Chili with a pasta twist! Brown the ground beef with minced onion and garlic powder. Drain well. Add the browned ground beef, black beans, diced tomatoes, chili powder, ground cumin and chicken stock to the slow cooker. Set on low and cook for 8 hours. With 1 hour left in slow cooker, add the pasta to the slow cooker with 1-2 cups hot water (depending on how much liquid is in the chili, see notes below) and let it cook the remainder of the slow cooking cycle. 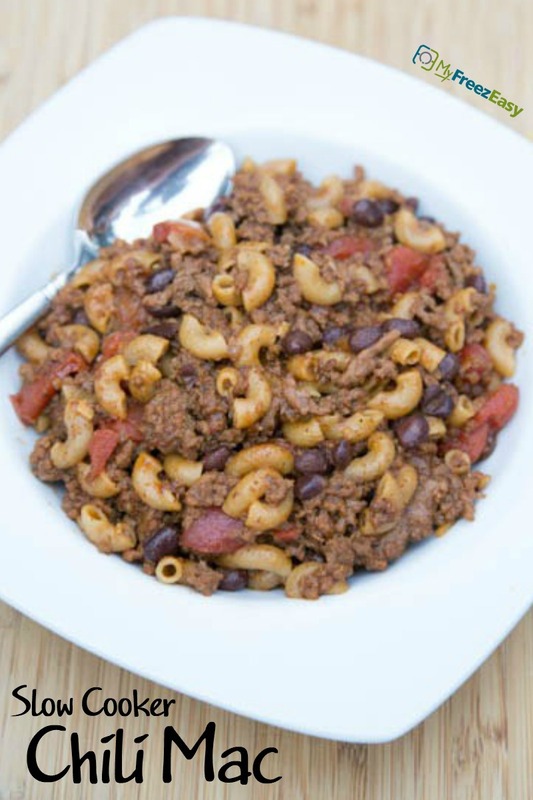 Serve Slow Cooker Chili Mac with shredded cheese garnish and side of veggies. Brown 2 lbs. ground beef 2 Tbsp minced onion and 2 tsp garlic powder. Drain and let coolbefore adding to bags. Put baggie in the freezer and freeze up to 6 months in fridge freezer or 12 months in a deep freezer. Thaw in the fridge overnight, or a warm bowl of water for about 20 minutes, before transferring to the slow cooker and cooking on low for 8 hours. IMPORTANT: When there is 1 hour left in the cooking cycle, add the pasta plus 2 cups of hot water. Omit cheese topping for dairy-free meal. Use small shell gluten-free pasta for gluten-free meal. Thaw contents of the bag and slow cook on low for 8 hours. With 1 hour left in cooking cycle, add the pasta noodles and 1-2 cups hot water.